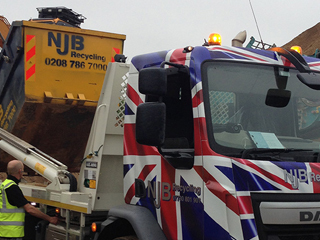 Local skip hire prices in Carshalton or elsewhere in London, South London and Surrey can depend on the type of house clearance, collection, disposal or removal you need to book in – here at NJB Recycling, our company offer the best prices and best rates for top quality care. Need a same day skip? Want to know more about skip sizes and prices? Interested in mini skip prices, or are more interested in hiring midi, large, Roll on Roll Off or small sizes? Let us handle your junk and trash in a skip bin and with skip bags you can depend upon. Hire a skip for a day from a huge range ‘near me’ – call us for skip sizes prices. 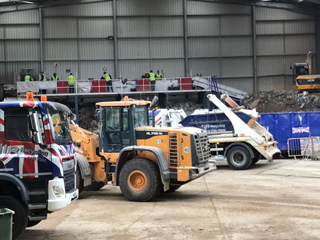 Our team and skip lorry vehicles are waiting to offer Carshalton skip hire for domestic, commercial and industrial needs – call us and we will find the best possible fit for your project. Pick from skip sizes up to 40 cubic yards – and we’ll take care of everything else. Hire a skip or rent a skip with us – same day or at short notice – and we’ll make sure you receive better than the average skip hire prices in Carshalton – you’ll get a pick from our budget skips with friendly, efficient support guaranteed. Looking for skip hire prices near me in Carshalton? Call us for mini skip hire prices and small skip prices – and for reliable, budget-friendly rubbish skip project support. You can book online with us or call NJB Recycling today on 02087867000 for more details – let us find the right budget skip that will save you trips to the dump! Small skip hire prices needn’t cost you the earth!